Happy day after Thanksgiving aka. Black Friday!! I hope you all had the best Thanksgiving day filled with spending time with loved ones and consuming ridiculous amounts of great food. I think the next best part is being reminded to think about what we are grateful for. I'm 100% sure that we all have something or someone to be thankful for, am I right?? If it is a someone you are thankful for, I hope you got the chance to tell them and give them a big hug! Since it is Black Friday and many of you probably have shopping on your mind, I think it's the right time to say..."I'M HOSTING ANOTHER GIVEAWAY!!" You can enter daily over the next two weeks and earn bonus entries by sharing the giveaway with your friends on social media. Good luck!! Rules: Use the Rafflecopter form to enter daily. Giveaway ends 12/19 and is open worldwide. Winner will be notified via email. Prize will be delivered via Paypal. MARC JACOBS MEDIUM INCOGNITO bag is on my wish list. The rafflecopter form is not coming up for me. help! It's up now! The giveaway didn't start until 3 hours ago :) Good luck! You can't say Marc Jacobs without thinking bags! I'm kind of crushing on the Ball & Chain Bond bag!! 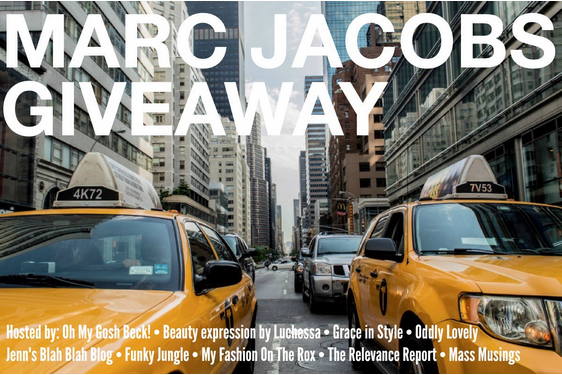 I so love Marc Jacobs and would love nothing more than to win this giveaway. I'm really crossin my fingers! I would get the CUTE KICKS 10MM SNEAKER. 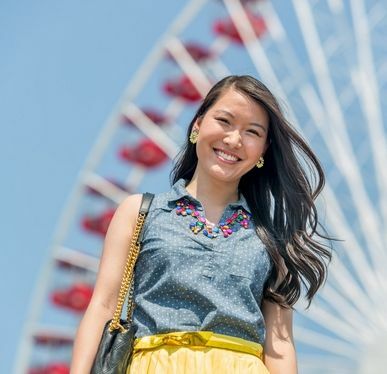 Great choice :) Enter daily for more chances to win! Love it!! :) Don't forget to enter daily! Good luck! Don't forget to enter daily for extra chances to win!! :) Good luck! New Marc Jacobs boots and matching bag for sure!!! So exciting!!! I would buy a handbag or cross body bag! Jacobs Tote F14 in Black/Silver color. FUR MINI POM POM is grey is gorgeous! A new Marc Jacobs handbag and some make up!! I'm crossing my fingers!!! EASY RIDER HEEL BOOT is superb! IN THE GLITZ gift set! HENRY SKELETON STRAP 34MM in gold/black. I am really hoping to win this giveaway. Fingers crossed! My wish is for a KitchenAid mixer. They sell tons of colors! Definitely fill up my fridge and cabinets they're empty! I'd get a new Marc Jacobs hoodie for sure! Ohh I need new bead for my beaded swarovski crystal beaded necklace set. It's a hobby of mine! A new Hoodie by Marc Jacobs!! A MJ Belt would be sweet does he have ones to match the handbags? I really want a new pair of boots, how are Marc Jacobs boots!! I'm buying boots if I win. So hard to decide..lol! My first big-girl bag was Marc Jacobs! It's in a verb sensible black, but I was so tempted by the more fun, unexpected colors! That would definitely be on my list if I won! I really want some MJ boots!